This material is based upon work supported by the National Science Foundation Graduate Research Fellowship Program under Grant No. 1650114 and National Science Foundation Catalyzing New International Collaborations Grant No. 1427740. Additional support is provided by the Digital Globe Foundation and the National Geographic Society Committee on Research and Exploration (Grant No. WW-151R-17). All photos by Lacey Hughey. When you’re studying wildlife and tracking it on the move, your gear has to keep up. 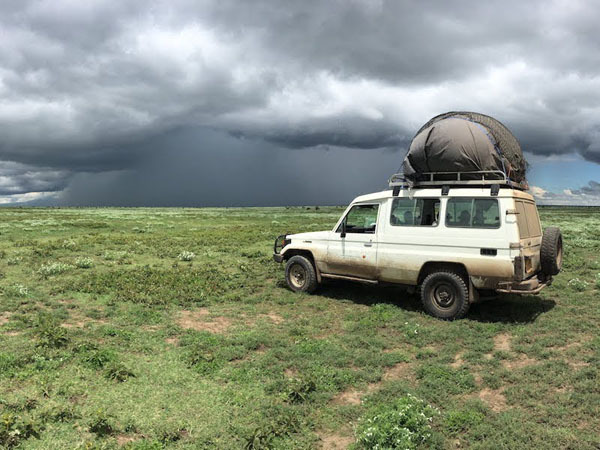 Wildnote client and University of California at Santa Barbara PhD candidate, Lacey Hughey, works with researchers and conservationists in Serengeti National Park in Tanzania. 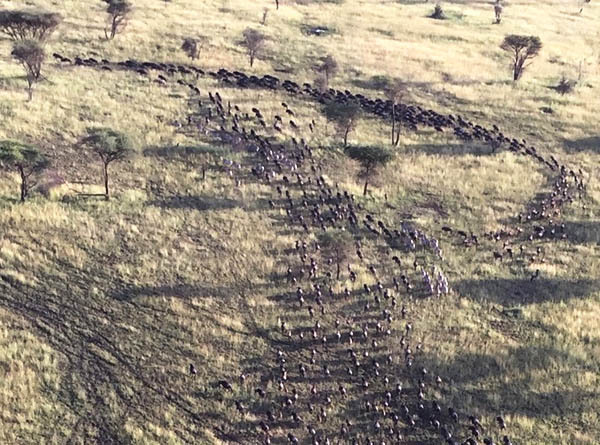 They use state-of-the-art, remote monitoring techniques to better understand wildebeest movement and migration. Their work helps advance both research and conservation of mobile species. 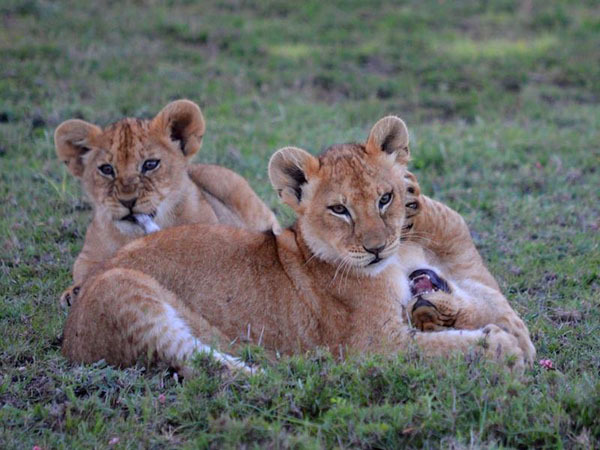 From large-scale migration to local interactions with predators, a range of advanced technology helps Hughey and her colleagues study animal movement in new ways. Drones, aerostats, and high-resolution satellites deliver an abundance of information to augment human observations. Wildnote helps Hughey collect, analyze, interpret, manage, and report her observations. One of the phenomena Hughey’s team is trying to understand is how and why so many individuals move together as a single unit over large distances. Might they use some sort of collective intelligence to detect resources and avoid predator attacks? How do they know which way to go? Ironically, the wildebeest and zebras often seemed more cohesive than the information Hughey was collecting to study them. 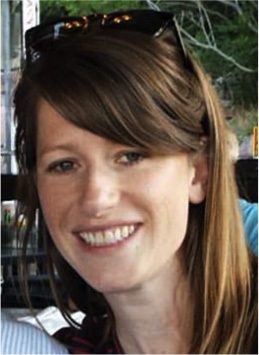 She recalled the challenges of collecting complex datasets in the field and said, “It was way more cumbersome and difficult before Wildnote.” Inefficiencies, errors, and inconsistent data were often the result. Previously, she would scan the herd and dictate her observations to a field assistant using Excel and a laptop. At the end of the day, Hughey and the field assistant would have to comb through all of the entries to make sure the information was in the right cell, and that it was correct. Common errors included misplaced information, or miscommunication that created entries deemed “unusable” because they didn’t make sense. “If we couldn’t figure out the problem, it became lost data,” she lamented. The drone-based aerial observations were even more difficult to record and quantify. Hughey said, “Switching to Wildnote made it faster and smoother to enter data in the field because I can build the sub-surveys right into the main survey.” Like a migrating herd moving as a unit, “there are less pieces to go searching for,” she said. That speeds things up considerably! Hughey also found that the Wildnote solution cut the time in half for each observation entered, while substantially reducing the error-rate. Hughey estimates using Wildnote saved her about 40 hours of time over 12 weeks of collecting data in the field. Validating the data was also easier and faster. “Wildnote helps because there are a lot of technical details to keep track of and Wildnote has a really elegant way of displaying data and metadata.” In addition to time saved in the field, she reduced the time spent verifying information by 20 minutes per day. Shortly after incorporating Wildnote, new regulations were passed to ban the use of drones within the research area, so the team began using an aerostat (tethered balloon) for aerial observations. 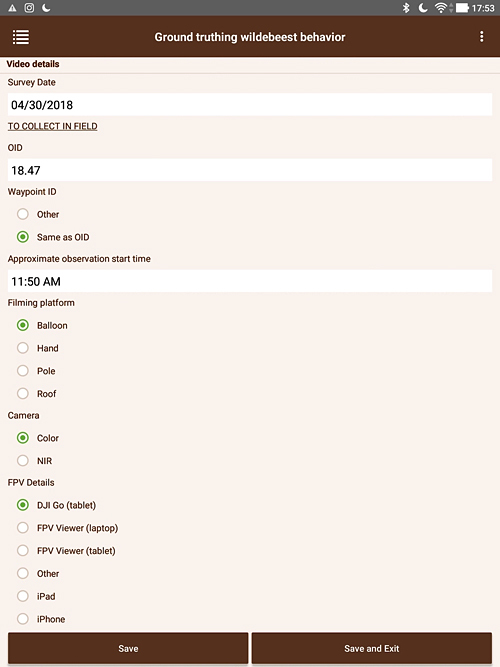 Though the new method required several changes in the data collection protocol, Wildnote made it possible to quickly edit the fields of the existing survey sheet, which saved time and preserved continuity across datasets. Like many ecologists, Hughey uses “R” statistical software to analyze collected data. Because she can directly import Wildnote data into R without manipulating it, she is able to maintain accuracy and improve efficiency throughout the analyzing and reporting process. “Wildnote can export data as Excel files, which can easily be re-saved in CSV format and then read directly into R,” she said. There’s an old saying, “Now that I got it all together, I can’t remember where I put it!” Wildnote architecture solves that problem by simplifying, automating, organizing, and unifying complex, isolated bits of data into meaningful, useable, retrievable information. The time saved allows researchers to get a lot more done and be quantifiably more accurate doing it. 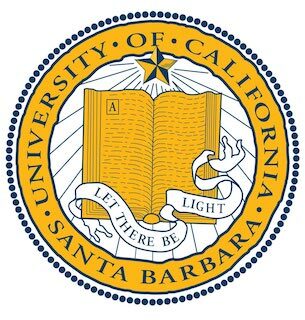 Wildlife Researcher and UC Santa Barbara PhD candidate, Lacey Hughey. 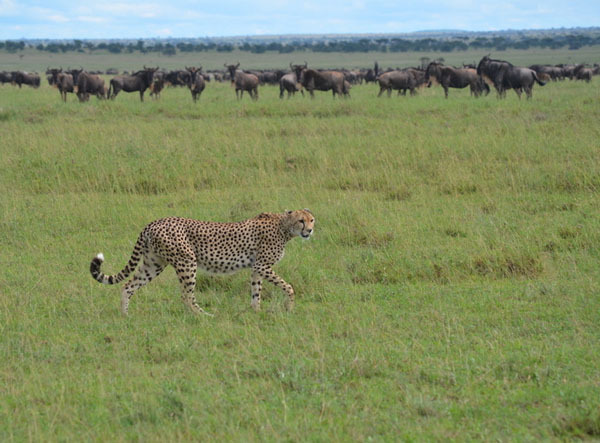 Read Dr Grant Hopcraft’s research: How Do Wildebeest Move Across the Landscape?